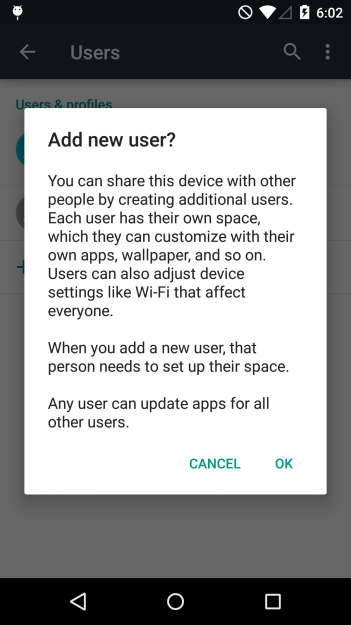 Android has offered up the option for multiple users to share one device since the days of Jelly Bean (no, not that version, this one), but if you wanted a couple of people to use a phone, you were out of luck. For several releases now, the feature has been tablet-only. 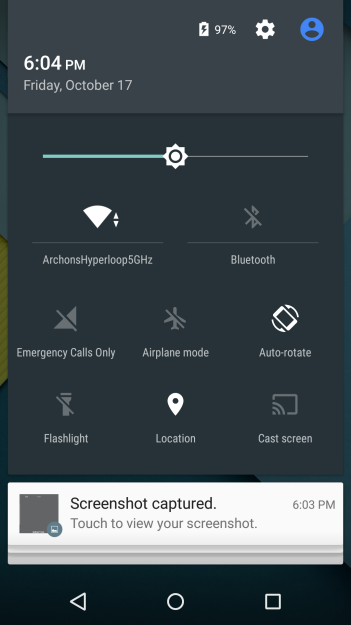 With Lollipop, multi-user support is coming to phones. After looking past the new feel of things, the core functionality is largely the same. 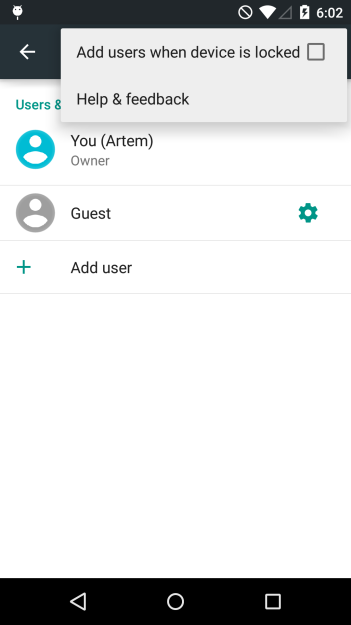 The first user is the device's owner, and they have control over who gets added to the device. Here's how all of that looks. 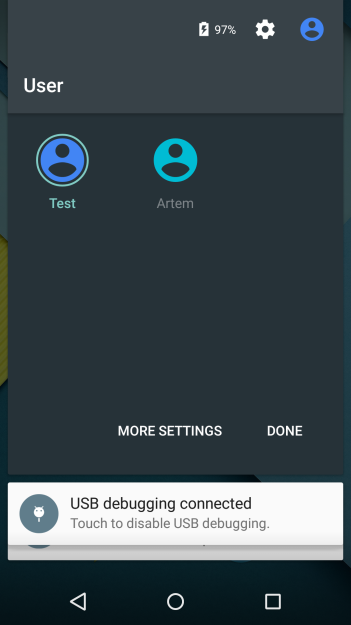 A welcome screen greets added users and walks them through the setup process. Once they're all good to go, you will see an account switcher button in the top right corner of the screen. This is where you go to jump between accounts. Switching between users is a pretty thorough process. Each person has their own apps, wallpapers, and such. 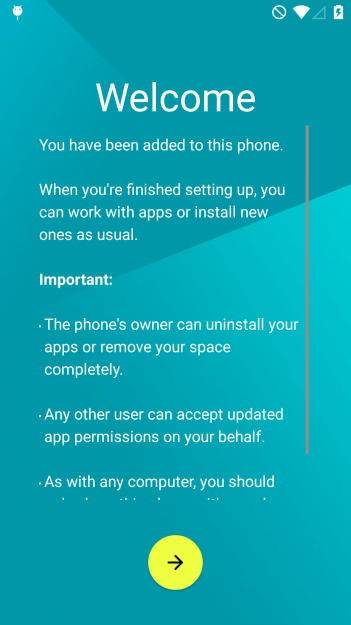 Not only that, when you plug your phone into a computer to transfer files, you only see stuff relevant to the user that is currently logged on. This behavior isn't new, but it's worth pointing out again, especially considering the more personal relationship people tend to have with their phones than their tablets. Parents shouldn't have to worry about junior getting access to all of their photos when he borrows the phone for a field trip. 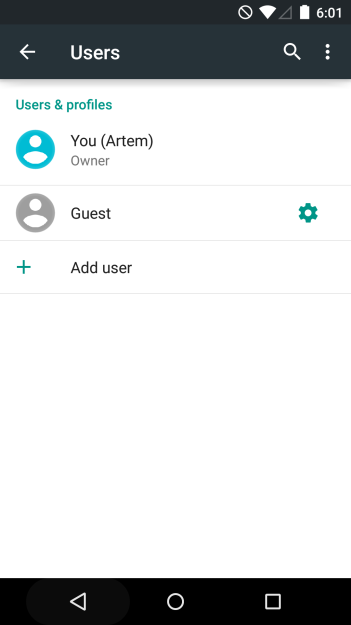 People may not share phones as regularly as tablets, but they do, so mutli-user support's arrival is a welcome thing indeed.